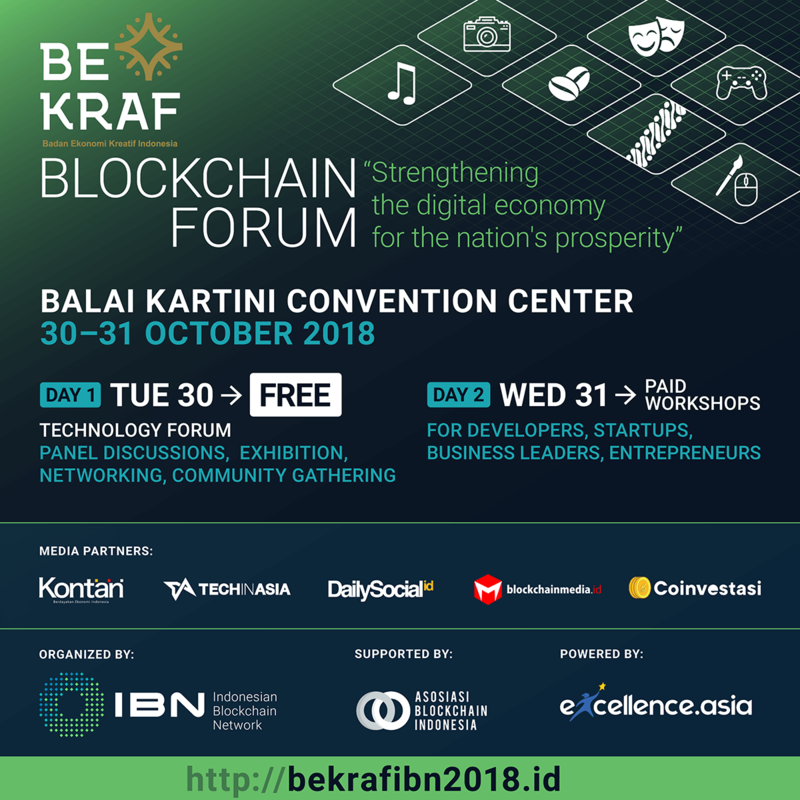 With great pleasure we invite you to “Bekraf Blockchain Forum – Strengthening the digital economy for nation’s prosperity” on 30–31 October 2018 at Balai Kartini Exhibition and Convention Center. Organized by IBN on behalf of Indonesia Creative Agency (Bekraf), and supported by Asosiasi Blockchain Indonesia (A-B-I), this forum will gather more than 500 participants of blockchain enthusiasts, developers, innovators and regulators in a two day event of panel discussions and workshops. Blockchain application development for Indonesian startups. This forum will offer expert insight in blockchain potentials for you to innovate your business and ideate new product and services to market. We look forward to your participation and support. Dapatkan informasi teraktual mengenai Asosiasi Blockchain Indonesia.